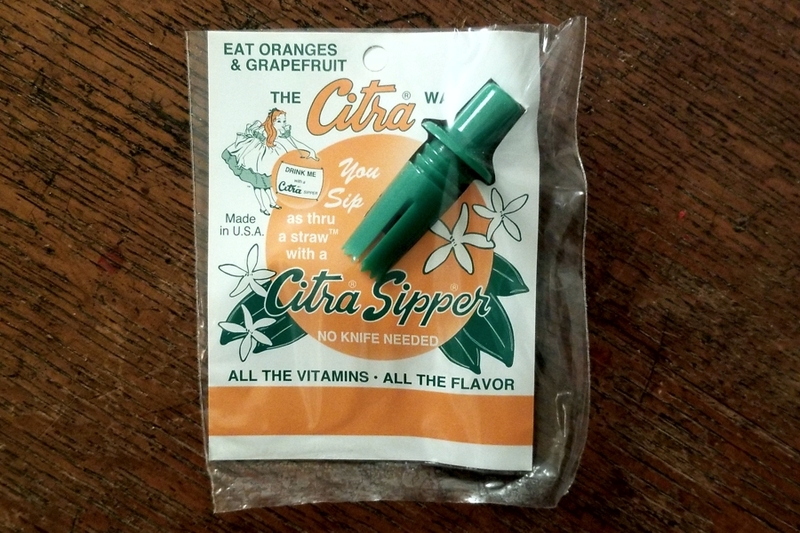 Citra Sipper - Drink Right from Your Orange or Grapefruit! Home > NEW STUFF > Citra Sipper - Drink Right from Your Orange or Grapefruit! Well, now you and your pals can drink straight from an orange (or a grapefruit) with this swell Citra Citrus Sipper. Actually, it's been around for a long time, but now it's back. And, we have it! This old fashioned kitchen gadget is packaged with complete instructions with a kitschy 1950s instruction sheet. 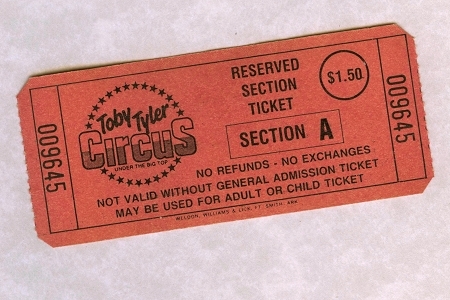 The originals were made of wax, then wood, then porcelain and, of course, today of plastic. 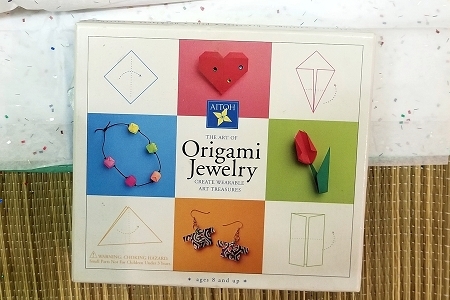 Perfect as a stocking stuffer, or, indeed with a bundle of oranges and two or three of these, anyone will love getting such a fun and useful gift. To make sure that you get the most juice, select fully mature, juicy fruit. If the fruit is not fully ripe, roll it to soften before inserting the Citra Sipper. With a twisting motion, make hole in either end of fruit. Push and twist Citra Sipper into fruit. Turn fruit as you squeeze and sip the juice! Put an orange or grapefruit with a Citra Sipper in the lunch box. Have one ready as an after-school snack. 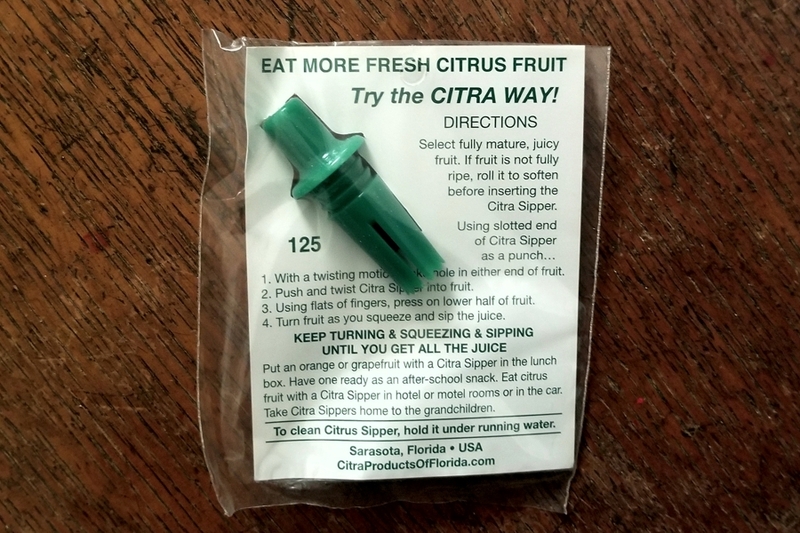 Eat citrus fruit with a Citra Sipper in hotel or motel rooms or in the car. (No more mess (maybe!)). Be sure to have some ready for the grandchildren. To clean, hold it under running water, use mild dish soap if you choose. Do not clean in the dishwasher.